Custom Chain Reaction Cycles Evil Faction. the rock shox logo on the maxle is white, happy now? they should have a white seat. there is already some green on it. the sidewalls on the tires have white writing on them too. What has Science Done D: ??????? Very uninspired. By that, I am referring to the choice of a silver rear rim. So close to perfection!!! haha i have that rear tire!! sweeet! ive got 1 and they are amazing!!!!!!!!!!!!!!!!!!!!!!!!!!!!!!!!!! I'm really hungry for froot loops now. Rollin on streets with this might attract attention. is this availible to buy??? 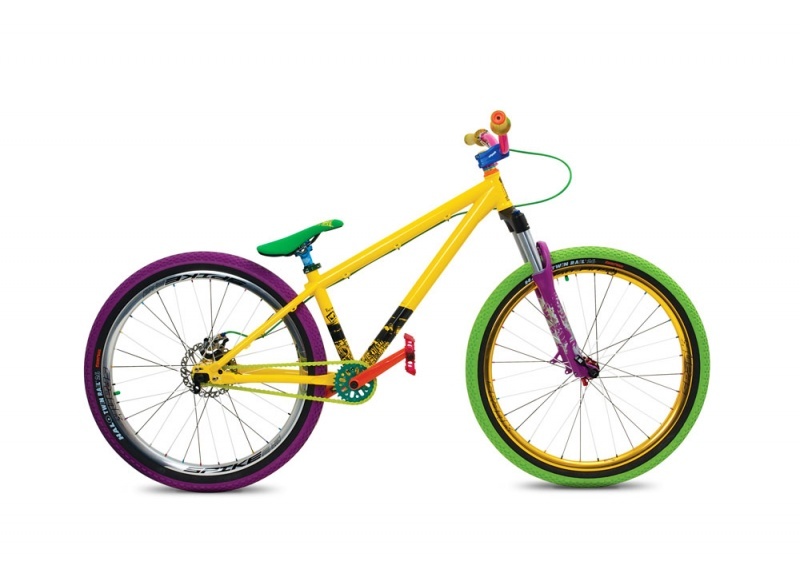 Talk about a jellybean bike..
i realy like it. SWEEET! eipame na einai emfanisimo,alla oxi ki etsi............!!!!!!!!!!!!!!!! BEUTIFAUL !!! what a nice bike dude ! wheres the pot of gold ? you'd never loose it !! looks like a frickin homo rainbow anyways the components were nice. atuly a sick bike, looks rad! Thats quite the mitch matched bike! You mean "mis-matched" or "mish-mashed?" and do you mean "mish-mashed" or "mitch matched" ? I would like one ! yeah but this is just horrible, you gonna do similar colour scheme on cowan? i like the cotours...this avalible to buy in? ?